Japan is a nation that takes its art admiration very seriously. Although Tokyo, Kyoto, and Osaka are home to some incredible galleries and museums, to really appreciate the broad scope of the art scene across the islands of Japan, go beyond the major cities and explore the many Japanese art festivals that are held throughout the year. From music festivals to art triennales and from permanent installations to seasonal events, here are some of the best arts festivals in Japan in 2019. There’s conceptual art, immersive art, progressive art, and then there’s the Echigo-Tsumari Art Field, which is somehow all of that and something completely new. Located in Niigata Prefecture, this project is essentially an open-air, region-wide public art gallery, and is home to around 200 art installations crafted by both local and international artists. Scattered around the area, you can find these art pieces in the famous Niigata rice fields, in schools, in abandoned buildings, and hidden where you’ll least expect them. The naturally and artistically stunning site is also home to Echigo Tsumari Art Triennale, a massive art festival, which was established in 2000 and set to make an appearance next in 2021. Beyond the Triennale, the area hosts an ever-changing roster of events including seasonal festivals, exhibits, and workshops. If you’re looking to where to see art outside of Tokyo, or just want to escape the city, make your way to Echigo-Tsumari any time of year, as you’re bound to discover something new and exciting. A ward of Tokyo with a culture completely unique to itself, Toshima is home to an annual celebration of Japanese artworks, music, tradition, and culture. Known as Toshima International City of Arts and Culture, the community runs regular events throughout the year as a way to encourage locals and guests to embrace the world of Japanese art. Some of the seasonally rotating events include the Tokyo Anime Award Festival, Cherry Blossom Festivals, and the Ikebukuro Jazz Festival. However, the highlight is always the New Bon Odori Festival and the Tokyo Otsuka Awa Odori Festival. If you’ve never witnessed the spectacle that is Japan’s odori dance festivals, these events are a must-see. A vivid display of colour, precision dancing, and proud Japanese tradition that goes back centuries and is celebrated across the map, once you witness the New Bon Odori and the Tokyo Otsuka Awa Odori, dance festivals are never quite the same. If you’re not in town during the dance events, that’s ok, no matter what time of year you’re in Japan, chances are there’s going to be a Toshima city festival. Just check out the website for more info. 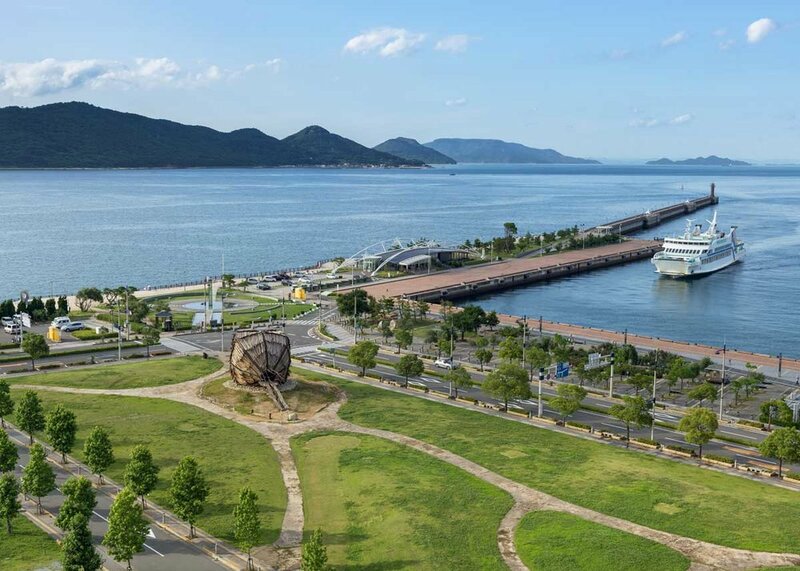 One of the biggest, most influential art festivals in Japan, the Setouchi Triennale is a celebration of Japanese contemporary art, which takes over a collection of islands (including the famous Naoshima) located in the Seto Inland Sea. Launched in 2010, the festival was founded as a way to combat the declining population in the area and has now become a major tourist attraction thanks to its stunning regional location and incredibly high calibre of art. The event runs throughout spring, summer, and fall every three years. Around 200 artists and projects showcase their work throughout the area making use of public areas to craft site-specific pieces in unique spaces like abandoned houses. Expect to see work by both big-name artists like Yayoi Kusama, Mariko Mori as well as emerging talent. The next edition of the Triennale is this year, so if you’re an art fan and were thinking about coming to Japan, there’s no better time than now. One of Tokyo’s more overlooked, but most fascinating cultural hubs is the neighbourhood of Ueno. The area is home to a sizeable residential population, a sprawling park, and an extensive collection of museums and galleries. Ueno, neighboring Nippori, and the Yanaka old town are also home to a vibrant community of creative minds both young and old. Held around the UENO Cultural Park area, local festival UENOYES is a celebration of the area’s creativity and is well worth visiting if you’re in town. Previous events have featured film screenings, live public music performances in the park, and visual art exhibits, etc. The most popular events of recent times have been the festival’s conceptual installations, like 2018’s Wandering into the Rabbit Hole, an art piece that took over an abandoned train station in Ueno. UENOYES is an excellent opportunity for those who want to explore a more hidden side of Tokyo. One of the newer events on Kyoto’s cultural calendar, the Artists’ Fair Kyoto is hosted at the The Museum of Kyoto Annex, one of the city’s premier art spaces. Although Kyoto is proud of its historical artistic legacy, the Artists’ Fair Kyoto focuses on the city’s creative future and features work by up and coming artists predominantly in their 20s and 30s. The festival showcases all forms of art, from painting to sculptures, installations, video and everything in between. If you’re looking to see a new side to Kyoto’s creative scene, be sure to check out the Artists’ Fair Kyoto. The World Theatre Festival Shizuoka has over the past decade or so become one of the mainstays on Japan’s art festival calendar. If you’re interested in the performing arts and are in town in April and May, be sure to check out the event as it hosts one of the most eclectic theater festival line ups in existence. 2019 marks the event’s 20th anniversary, and it’s only growing in popularity. The entire festival was founded on the philosophy that 'theater is a window to view the world', and it’s an attitude that’s stayed true. It’s the perfect event for theater fans on the hunt for something a little more avant-garde, groundbreaking, not bound by the expectations major festivals place on themselves, which is what makes it so great. Speaking to the Japan Times in 2016, Singaporean Director and one of the biggest players in Asia’s theatre scene Ong Keng Sen, praised the event saying; “The sense of adventure in a festival is very important and SPAC has this.” Held at Shizuoka's Performing Arts Centre the festival roster features everything from dance, and puppet shows, to film screenings, local productions, travelling arthouse performances and pieces by some of Europe’s most distinguished dramatists, as well as local talent. There’s something for all tastes, both contemporary and traditional. Taking over the heart of Roppongi for two nights in late May is the much loved Roppongi Art Night. The exact program details are yet to be released, but as previous years attest, you can expect an eclectic roster of art events including outdoor exhibits, live performances, and cultural displays from both local and international artists. It’s a public celebration of the art and community that makes this city so great. Based on a similar concept to Nuit Blanche - public all-night art events - most of Roppongi Art Night installations are outdoors, free, and easily accessible, making it ideal for both the serious and more casual art lover. Running over a Friday and Saturday night, it’s the perfect date-night plan, best accompanied with dinner or drinks at one of Roppongi’s stylish eateries. Set in the picturesque surrounds of Oshika peninsula and the Ishinomaki city area in Miyagi prefecture, Reborn-Art Festival is an annual coming together of music, art, food and the vibrant local creative scene. The event was founded as a way to showcase the artistic culture of Tohoku, a region resiliently overcoming the devastation of 2011's natural disaster. The theme of this year’s event is Texture of Life and is set to be a celebration of all the different experiences life throws at us. If it’s anything like the last few incarnations, you can expect large scale artworks, family-friendly music festival style live events, incredible food and an infectious and inspiring atmosphere of positivity. Held on the stunning island of Sado, during mid-August is where and when you’ll find Earth Celebration, a massive music festival described by the New York Times as “Japan’s leading music event.” Located just off mainland Niigata, Sado is typically a tranquil little island, but come during the tail end of summer it transforms into thundering dance party powered by the beats of Japan’s most passionate taiko drumming ensemble, Kodo. It’s the perfect event for musicians, and those interested in Japan’s history, as you can expect workshops led by taiko masters. During the evenings, the main event is the Harbour Market Live, which kicks off at 6pm daily. The Harbour Market Live is definitely the highlight of the festival, held on an outdoor grass venue. The extravagant, music festival style event is the perfect setting to make the most of the long summer evenings. During the day, guests are invited to take part in and explore the untouched beauty of the island. It’s the ultimate musical escape. The southern island of Kyushu is generally known for being home to some of the best hot springs in the country, but did you know it’s also the home of one of the most exciting pop culture festivals in Japan? Taking over Kitakyushu City in all its vibrant glory, the Kitakyushu Pop Fest is a celebration of manga, anime, computer games, and everything that’s great about Japan’s geeky youth culture scene. Running over two days, the event features cosplay, exhibits, presentations, workshops, and talks by some of the biggest names in the anime, gaming and geek subculture scenes. The Yokohama Sound Festival a festival dedicated to all forms of music, no matter the genre. Also known as the Yokohama Oto Matsuri, this festival began in 2013, and is held once every three years. From pop to classical, to everything in between the event is a proud celebration of music’s ability to transcend cultures, language and bring people together. One of the highlights of the 2016 edition was 'Music in the Dark,' a live show performed completely in blackness to raise awareness of what it’s like to experience life as a blind person. If the last event is anything to go by, the 2019 incarnation is set to be a groundbreaking, and powerful musical event.